Get a real taste of some of Australia's most produce rich regions with our gourmet range of Food & Wine Tour experience certificates. Sample some of the finest wines from wineries, a drop of craft beer from bespoke breweries and of course no food tour is complete with a cheese board and a slice of chocolate or two. A great lunch idea for a group birthday, hens parties and team bonding. At the end of this fantastic tour you will be able to describe the taste of one hundred summers and one hundred winters. The tour includes -Wine tasting - five super premium Seppeltsfield wines. You will walk alongside the longest lineage of barrels dating back to 1878 to find your birth year and taste direct from barrel. The tasting culminates with a taste of the 100 year old Para Vintage Tawny. Seppeltsfield is a South Australian Heritage Listed property. est. 1851 , there is over 9 million litres of Fortified Wine aging in 24,000 barrels in the Seppeltsfield Bluestone buildings of which you will see in Cellar No. 6. Join one of the wine educators on the Daily Heritage Tour for a behind the scenes look through the spectacular gardens and heritage buildings. Learn of the early pioneering spirit of the Seppelt Family and their profound influence on the Australian Wine Industry. A must do while you are in the Barossa! 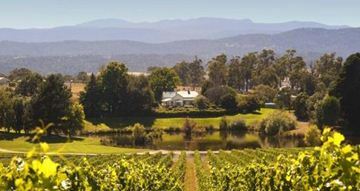 Enjoy premium wines, fabulous food and the magnificent Victorian countryside on this full-day wine region tour to either the Yarra Valley, the Mornington Peninsula, the Bellarine Peninsula or the Macedon Ranges. Tour includes lunch at a winery with a glass of wine followed by tea/coffee, morning tea at an outdoor setting and all tastings at the 4-5 wineries you will visit during the day. There is no fixed itinerary, so the pace and interest of the group decides the activities. Perfect for locals, first-time visitors to Perth and repeat visitors, this guided food, drink and walking tour is a great way to spend an afternoon discovering new bars in the area. This walking tour is a great gift for locals in Perth who need to discover some new bars or those exploring the city and are after a fun night out. 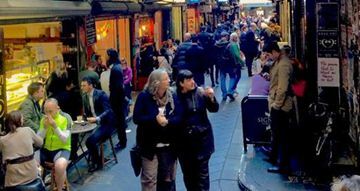 Join this deliciously entertaining tour for the sights, sounds and, of course, tastes of Melbourne's foodie secrets. Journey around the city to discover some of Melbourne's longest running food establishments and be introduced to the newest kids on the block. Enjoy the experience of visiting five or six cellar doors at Tamar Valley Winery, tasting some of the world’s finest wines. This first class wine tour is ideal for lovers of a good drop of cool climate wine. You are given a choice of locations to visit so whatever way you do it you are guaranteed a sensational experience - going home happier and maybe a little wobblier than when you started. This gift is absolutely perfect for wine lovers and connoisseurs. 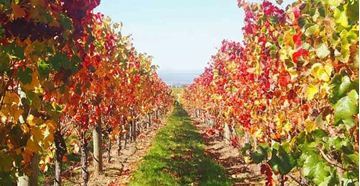 There is no better way to taste South Australia than with this private wine country tour for 2. Experience a private wine country tour with John Baldwin, well known for his encyclopaedic knowledge of the wine regions of South Australia and his cracking sense of humour. Enjoy a fun and informative day and enjoy the serene landscapes, historic towns and Mediterranean influence of this beautiful wine region. Go behind the label at Josef Chromy Winery and explore the winemaking process from grape to glass. An informative yet informal opportunity to learn a little more about how a vineyard works and how the grapes develop throughout the season. You will taste some wines in their unfinished state before heading to the Cellar Door for a two course lunch of fine Tasmanian produce matched with wines.